Networking – It’s not a dirty word! On February 1st, the USC Thornton Alumni Association and Board of Councilors hosted its fifth annual Music Career Night, welcoming successful alumni and industry professionals from a variety of musical backgrounds, who gave advice about starting a career, making professional connections and shaping a unique artistic image. Producer and former American Idol judge Randy Jackson served as a moderator for the event. 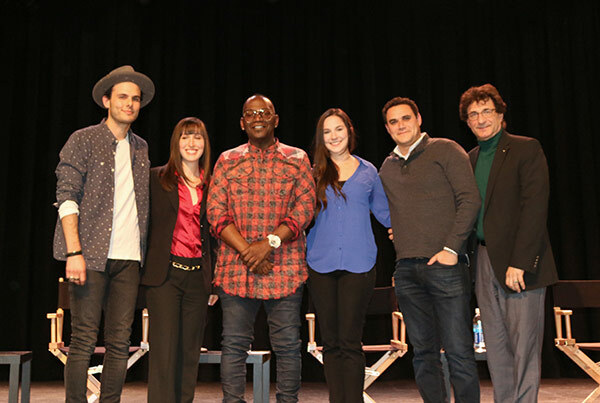 The panel included Kevin Korn, a music career agent for the Gorfaine & Schwartz Agency who has previously signed Joseph Trapanese (Straight Outta Compton), Steven Price, and Johan Johannson (The Theory of Everything); Gina Luciani, a flutist who has worked on a variety of projects, including Straight Outta Compton and League of Legends; Brady Cohan, a composer and guitarist who founded New West group and has performed on American Idol and Dancing with the Stars; and Erin Jacobson, a music industry lawyer who protects musicians, songwriters and entertainment stars. To start, Jackson asked each panelist to discuss how networking has helped their career, and how to properly make connections in the music industry. Luciani discussed the importance of starting young — as early as high school — and always striving to make a good impression through timeliness and a professional attitude, while Jacobson emphasized that joining professional organizations can increase professional contacts. Both Korn and Cohan touched on the experience of performing and working on the road, and how the emphasis in networking should be, above else, making friends. In the end, the panel agreed that networking is mainly about building relationships, which must be nurtured over time in order to succeed. 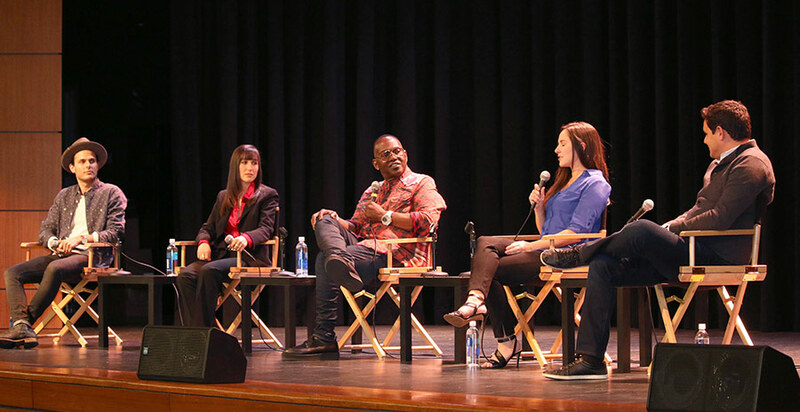 After their opening statements, the panel addressed questions from the students and young musicians in attendance. These included how to develop a social media presence and how to secure gigs in competition with better-connected and better-established artists. The conversation ended on the subject of age, with each panelist encouraging the students to think less about their inexperience and focus more on their personal and creative talents in pursuing their dreams of a music career.